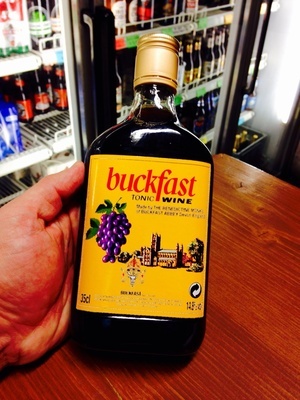 Posted in Misc and tagged booze, Buckfast at 7:33 am on November 5, 2014 by Broadsheet. These have been available for years. Early 2000’s anyway. It’s neither exclusive, nor seen first. As Chris says, they’ve been around a long time in many a good offie outside of Galway. No real point selling this size in Galway. News just in.. milk comes in cartons and bottles. Available in Northern Ireland and Scotland for years.